First, we have an initial consultation with you at the project location. We listen to your priorities, ask about your style, and take measurements. Then, we draft an interactive, 3D model to show you exactly what we plan on building, including the swanky features you request! Tim and Chelsea will refine the model until it's exactly what you want— right down to the quarter inch. Once the plan is in place, The McGovern Woodshop gets to work. 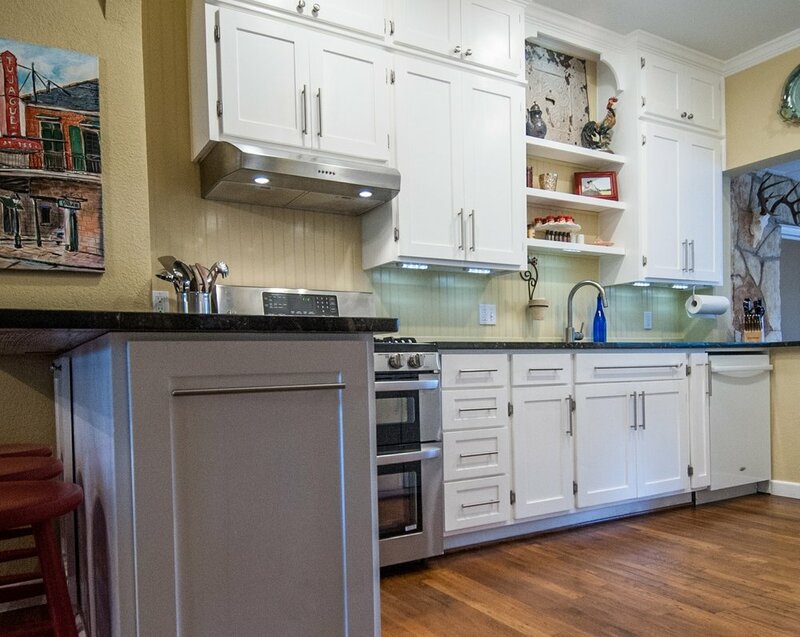 Our master carpenters, led by Tim, hand craft your cabinets and use precision painting techniques to render the highest quality product. 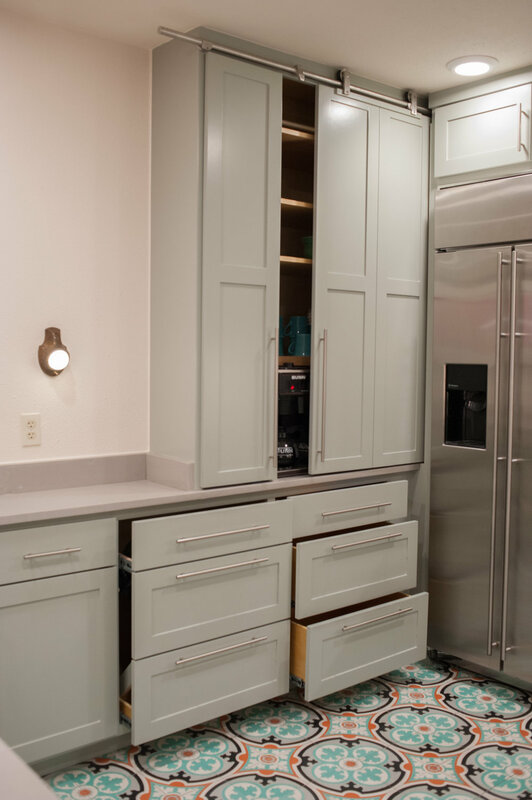 We carefully transport your new cabinets and install them. 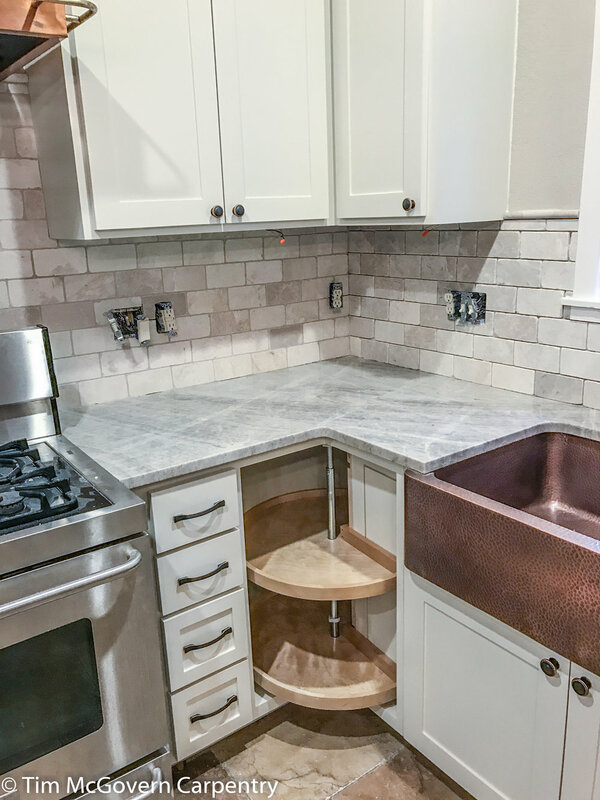 The McGovern team pays the utmost respect to detail and will make final retouches. 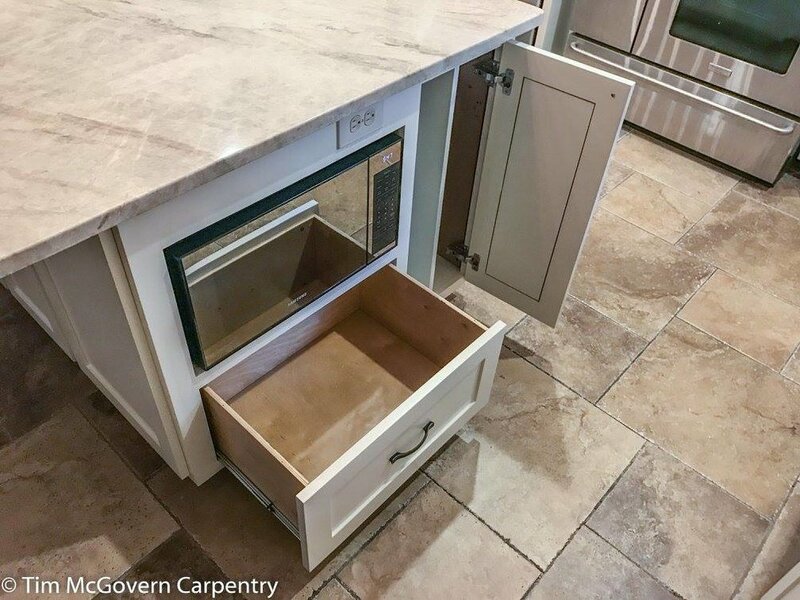 You enjoy your new, custom-built, and beautifully functional cabinets.